Morgan Cheek and Robert Shaw have played with each other for longer than their four-year stint at Harvard. The first time Morgan Cheek and Robert Shaw shared a lacrosse field—in the spring of 2011—both had yet to decide what sports they would be pursuing in the long run. Both were still playing ice hockey at a high level, and Cheek also roamed the soccer pitch during the warmer months. 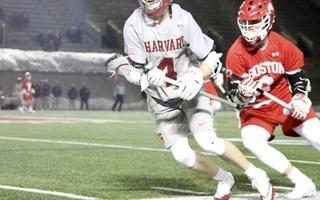 Fortunately for the Harvard men’s lacrosse program, both decided that lacrosse would be the sport they would pursue in college. 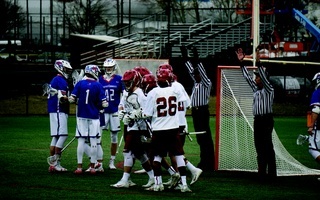 That matchup in 2011—between Cheek’s club team, the Laxachusetts Minutemen, and Shaw’s club team, the Top Gun Fighting Clams—would mark the first of many times that the two shared the same field, in competition and out of it. 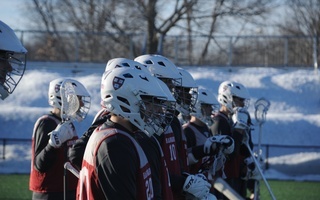 They would meet again several times playing for their club teams over the subsequent years, and with each student-athlete also attending school in the Greater Boston area—Cheek at Noble and Greenough and Shaw at Roxbury Latin—they would face off while playing for their respective schools as well. Flash forward seven years from that first encounter, and Cheek and Shaw have now made 40 starts together for the Crimson. Both broke out in their sophomore years, and have since become the backbone of a team that has collected 21 wins in three years, including one in the Ivy League Tournament. Individually, they have found success that few other players at their positions have had with the storied program. Cheek, an attackman, ended his career with an even 200 points, tallying 105 goals and 95 assists across 54 total games played. With these numbers, Cheek etches himself into the program record books by finishing within top five in goals scored, goals assisted, and points recorded. The senior also slots in at sixth in single-season points, with a 67 point haul in 2017. On the other side of the field, Shaw became only the sixth Crimson goalie ever to reach the 500-save milestone, finishing with 504 saves. He is the first goalie to reach that mark since Keith Cynar, who graduated almost 20 years ago in 2000. 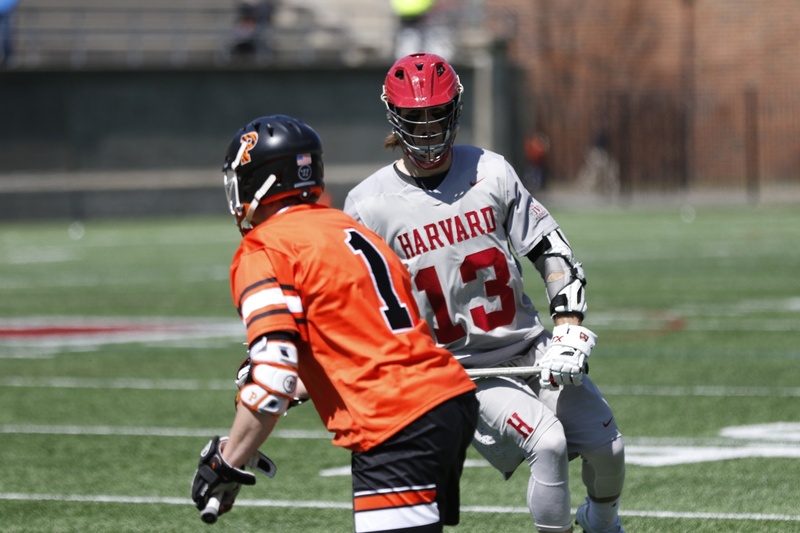 Cheek, whose mother Charlotte Joslin ’90 was the first female athlete in Ivy League history to receive First Team All-Ivy honors in three sports, is succeeded by his brothers Watson and Hayden, who will be a junior and a freshman on the team next year, respectively. While it is not hard to guess that Cheek and Shaw have shared the field in every single competitive match for the Crimson since the start of their sophomore seasons, much fewer might realize the amount of time they shared on a field in the summers before that. With Cheek growing up in Wellesley, Mass., and Shaw residing just 15 miles away in nearby Canton, it was only natural that the two would start practicing with each other. "Morgan and I have known each other for a long time, and after a mutual friend connected us back in our junior year of high school, we started practicing with each other. 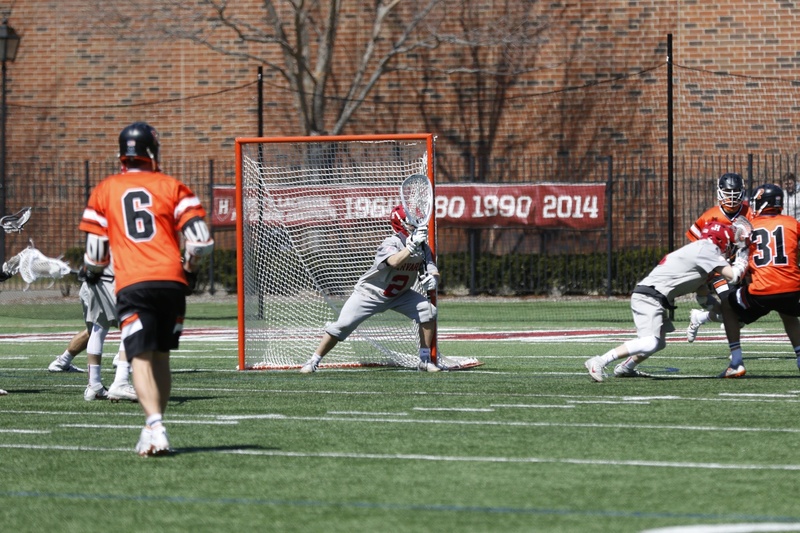 It was perfect," senior goalie Robert Shaw said. When the duo started playing at Harvard, their extra training sessions together became even more frequent. 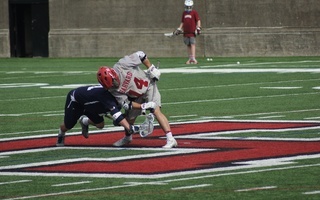 After both players’ freshman seasons ended, Cheek and Shaw stayed on campus over the summer to take part in the “Summer Dogs” program, in which players from the lacrosse, football, and hockey teams, among others, work on conditioning and their respective games. Towards the end of that first summer, there was one moment when Cheek noticed how significant the improvements that he and Shaw made. A professional Major League Lacrosse goalie had joined their workout that day, and after shooting on both him and Shaw, Cheek was struck by what he noticed. And come a long way their certainly did. Both players earned starting spots early in their sophomore seasons, and Shaw would go on to rack up 181 saves that year, while Cheek went from scoring seven goals during his first season to 36 during his second. For Cheek, who played box lacrosse after high school and was one of the top high school players in the nation his senior year, the improvement was a natural progression. For Shaw however, who joined the team as a preferred walk-on and sat through freshman year as the de facto fourth string goalie, the jump impressed his coaches immensely. Cheek credits his time playing box lacrosse after high school with helping him develop many of the skills he utilized so well throughout his collegiate career. Shaw views his rise in a similar light. Shaw originally joined the team as a preferred walk-on, making his 40 starts and over 500 saves even more impressive considering he had to beat out multiple scholarship goalies for the starting job his sophomore season. At the end of the day, both players are thankful for their individual success but wish it had translated to greater team success. During their four years with the program, Harvard went an even .500 with a 28-28 record. The team did make it to the final of the Ivy League Tournament in 2016, but that was the closest it ever came to an NCAA berth. Nevertheless, in their senior seasons, Cheek and Shaw helped the Crimson secure its first winning record since 2014. And while their names will be etched in the program record books for decades to come, Cheek and Shaw also leave behind clear imprints on the underclassmen in the program, who can look to their work as a model for taking the team to greater heights. —Staff writer Ronni Cuccia can be reached at ronni.cuccia@thecrimson.com. —Staff writer George Hu can be reached at george.hu@thecrimson.com. 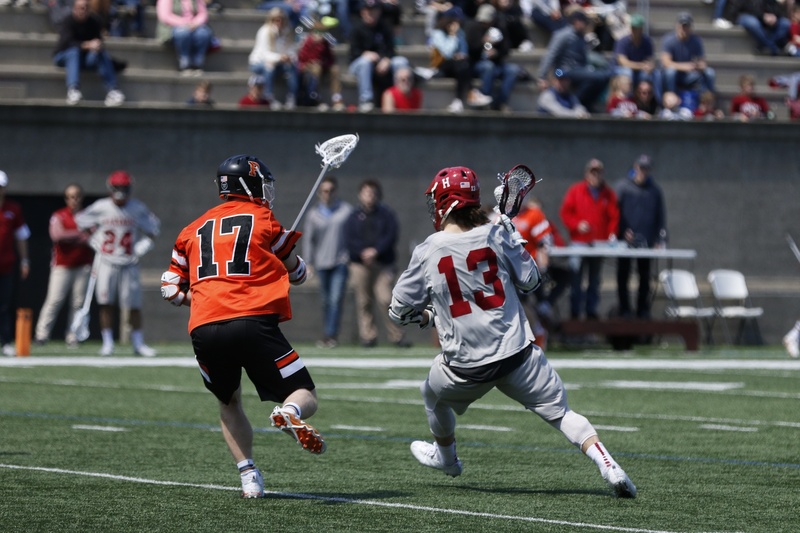 After being overwhelmed by its cross-town rival’s potent offense, the Harvard men’s lacrosse team continued its recent slide. The Crimson suffered its third-straight loss at the hands of No. 19 Boston University Tuesday evening at Nickerson Field in Boston, Massachusetts.